Born and raised in Antwerp, Belgium.,Roel De Prins and Robbe Boons have picked up the DJ and producing art in the early years of 2000. It’s only since the beginning of 2011 that they decided to cooperate and form the duo now known as Flapjackers. 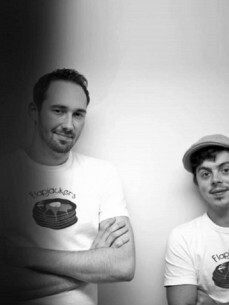 Initially experimenting within the borders of the Funky House genre, they quickly expanded to Jackin, Tech and full-on Nu-Garage and the Deep House sound.